Christopher Caldwell is an attorney in Boise, ID. His practice is focused on all types of personal injury claims, including automobile and truck accidents, slip and fall injuries, insurance claims, negligence by professionals, failed medical appliances and dog attacks. He has also handled hundreds of workers’ compensation claims. 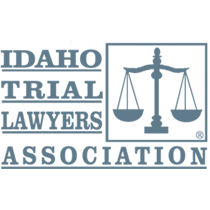 He is certified as a Workers Compensation Specialist by the Idaho Trial Lawyers Association. Mr. Caldwell was past Chairman of the Workers Compensation Section of the Idaho State Bar as well as a member of the Board of the Idaho Trial Lawyers Association. Christopher Caldwell - Attorney roster information with the Idaho State Bar - Find more information about Christopher Caldwell on the Idaho State Bar website, including status and licensing information.